Happy, healthy, outdoor (field house when too cold) hens, fed organic grain, lay great tasting eggs just for us! 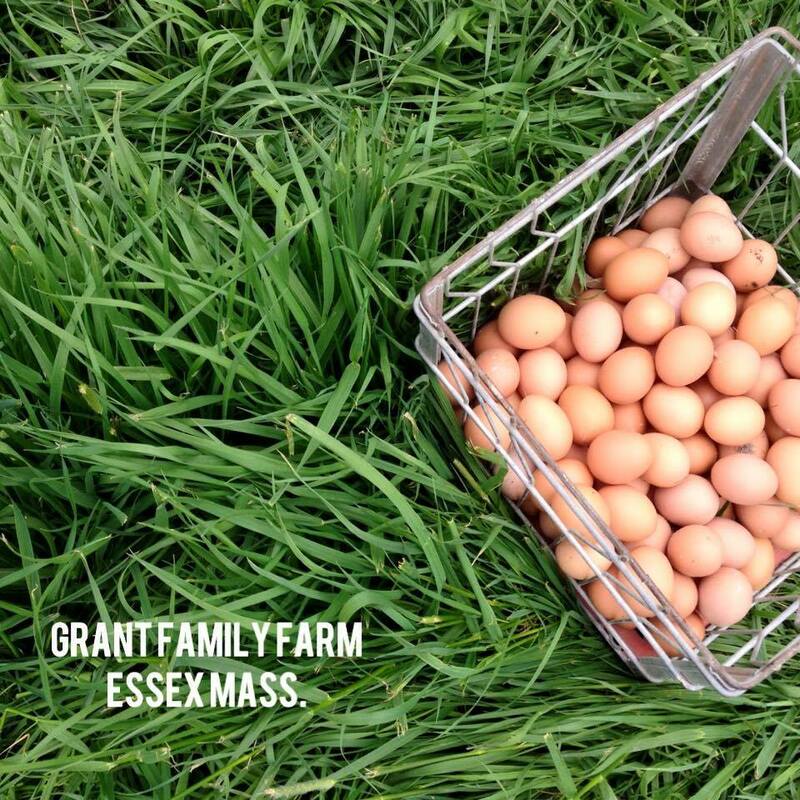 Grant’s Family Farm in Essex, MA is our partner for supplying eggs every week during the summer. However, even though production slows during the darker, colder days of winter, it doesn’t completely stop. Chris Grant finds himself having a surplus of up to 140 dozen eggs per week! We asked him to buy the hens to lay the eggs for summer, and he is asking us to create a winter market for the eggs. We happily said yes. TUESDAYS in Melrose at the Knoll. Chris Grant (farmer) will meet folks there from 4 – 6 pm starting next Tuesday, February 21st. We need to meet the minimum of 25 dozen per pick up. THURSDAYS in Marblehead at the FDC Office – 4 Beringer way, the central door next to the loading dock, from 4:30 – 6 pm starting next week, February 23rd. The Small Farm Central store lists specific days, dates, and locations through the end of April. To help Chris move the eggs, we have priced them at the egg share price rather than a la carte price ($6.25 vs. $6.50). The Small Farm Central stores need to close one day before pickup for us to get the numbers to Chris promptly. Please order by 10 am Monday, or Wednesday morning the week you wish to pick up eggs. Please and thank you for supporting our local egg supplier.